Last summer I went to the Tower of London. There I made a number of unexpected discoveries, although if I had ever stopped to think about it would have seemed rather obvious. For instance, there are several buildings that make up the “tower”, the oldest and most famous being the White Tower. It isn’t really a tower, but a fortress or a castle. Unlike the Buckingham guards, the Yeomen are very much allowed to talk to you and are wonderfully friendly folks. The real Crown Jewels really are kept there – provable by the fact very strict British advertising laws actually prevent any sort of “bait and switch”. If they advertise it, they have to be real. 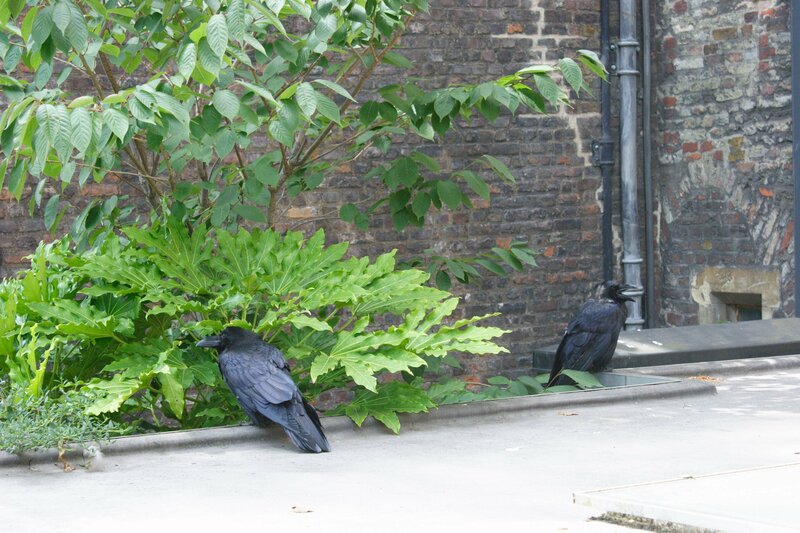 And as a “fan” of ravens in general I was very excited to see the avian residents at the Tower. They are incredibly curious and obviously intelligent. One of the many things that makes me such an Anglophile is their unwavering adherence to tradition. So having a warder whose sole job is to tend the ravens at the Tower is amazing to me. And like the thousands upon thousands of visitors to the Tower each year, I believed the general story that they had been part of the Tower for centuries. Apparently the true story is a bit more complicated. 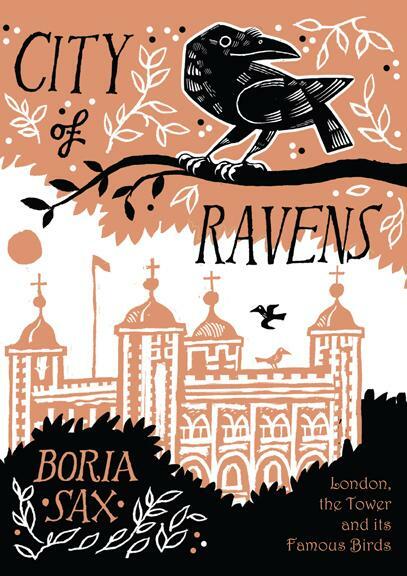 Boria Sax’s book is a neat thesis the explores the history of ravens (Corvus corax) in general, in England and at the Tower. These background chapters were my favorite. Their [the raven’s] complex social structure resembles that of human beings. Ravens live within a nuclear family and raise their young collectively, yet they also assemble in huge gatherings for reasons that are not fully explained. They communicate in part through a large range of vocalisations, and they have long been renowned for their intelligence. Because ravens can seem ‘almost human’, they elicit strong feelings from people, and have been alternately revered and persecuted throughout human history. 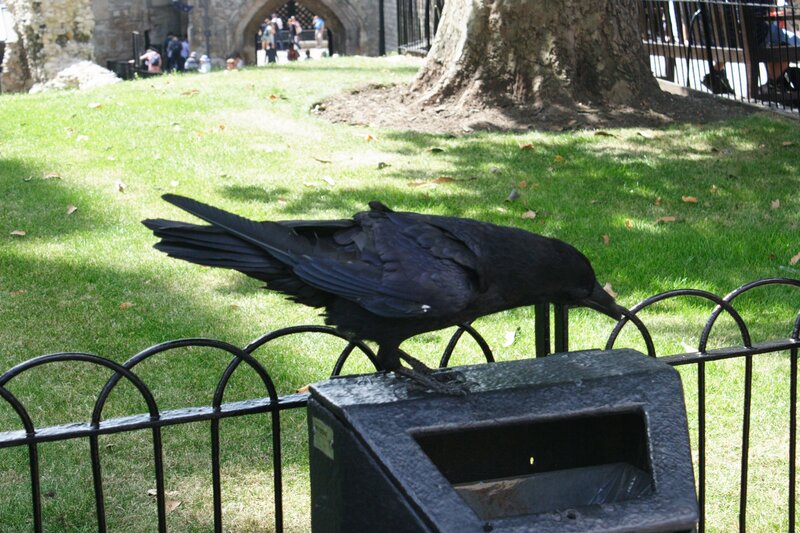 Sax then explores how the legend of the Tower ravens was born. The answers are surprising and enlightening (but I will leave it to the reader to discover). The book lands somewhere between academic and popular history. It is accessible for a casual reader but full of well-researched quotes and references. I recommend it for any history buff or Anglophile’s shelves. Many thanks to Overlook Press for the review copy. 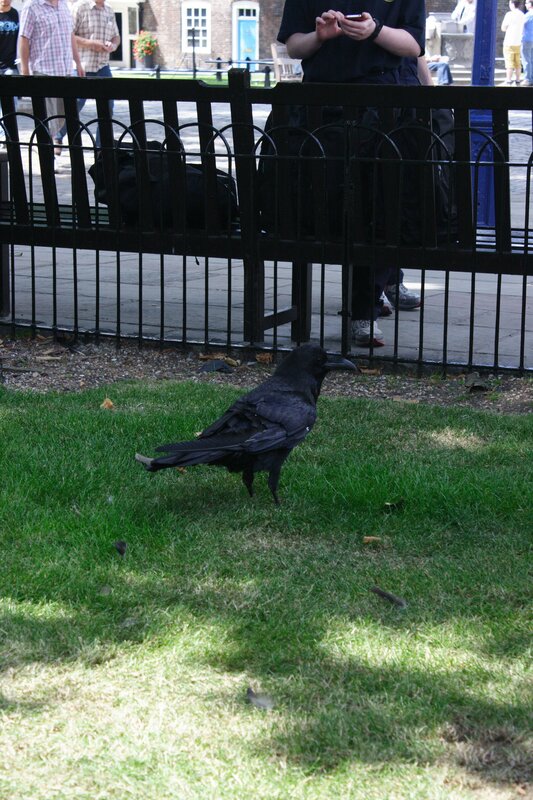 You can follow the Tower of London’s Ravenmaster on Twitter here.